Big Cass been released by the WWE, ROH's Joe Koff confirms that they have lost their date with Madison Square Garden due to the WWE, NWA TNA launched on this date in 2002, Alicia Fox cleared to return, Sanity scheduled for SmackDown tonight, PCO announced for BOLA, Week 2 of DWTNCS & more. **Wai Ting and I have two shows out today with Rewind-A-Raw that is available for everyone and the RAR Overrun show for members of the POST Wrestling Café. On Rewind-A-Raw, Wai and I review Monday’s show coming out of Money in the Bank, the big angle with Ronda Rousey to start the show, the Extreme Rules announcements, Dolph Ziggler winning the Intercontinental title, and we go over the G1 blocks and the announcement of the launch of the WWE’s NXT UK brand. You can download that show at https://www.postwrestling.com/2018/06/19/rewind-a-raw-6-18-18-rousey-suspended-surprise-title-change/. On the RAR Overrun show, Wai and I review the WWE ‘24’ special on The Hardys with a big rundown of the documentary, the issues that were tackled, the unbelievable footage they tracked down, the drug issues the two have battled, Jeff’s recent DWI in March and lots of TNA footage. We also have Wai’s weekly Total Bellas review on this show. You can access this show if you are a member of any level of the POST Wrestling Café. **Wai and I will be back later tonight with Rewind-A-SmackDown to chat tonight’s episode, the release of Big Cass, the ROH / WWE / Madison Square Garden story, the G1 match announcements, and we will take your feedback. 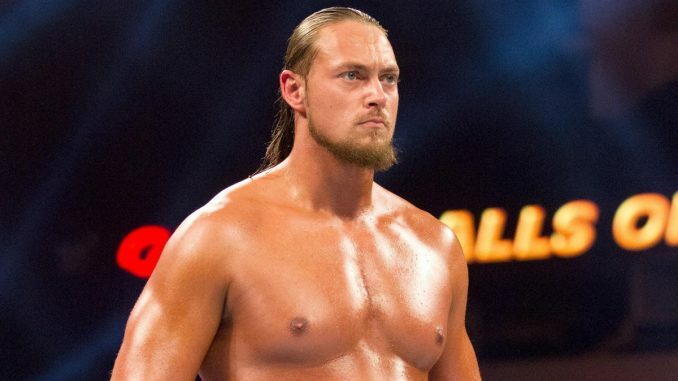 **The WWE announced Tuesday afternoon that Big Cass (William Morrissey) has been released with no further explanation. Morrissey was trained at Johnny Rodz’s school and had his first match in 2009. Within two years he had been signed to a WWE developmental contract and was on TV for Florida Championship Wrestling very quickly. It wasn’t until FCW was re-branded NXT and he was paired with Enzo Amore that he started to get over. They became a very popular babyface act while in NXT. Carmella was later added to the act as well, although she remained in NXT when the two were called up to the main roster in April 2016. On their first night on Raw, Enzo cut a big promo on The Dudley Boyz and his promos immediately stood out. Shortly after their main roster debut, Enzo was injured in a tag match with The Vaudevillains when his neck snapped on the bottom rope and led to a scary scene at the Payback card in May 2016. Enzo was sidelined and led to Cass getting more promo time and showing potential. They broke the team up last summer with Cass being revealed as Enzo’s mystery attacker and led to a brief feud, which was cut short when Cass tore his ACL during a street fight on Raw with Enzo in August. Cass returned to television this past April on SmackDown and began a feud with Daniel Bryan that featured two pay-per-view matches where Cass was submitted. I was told from within the company that several people were unhappy with Cass’ performance in the Big Show feud last summer before his injury. That opinion of Cass continued with the recent program with Daniel Bryan and that his release was not that surprising to the person I spoke with. **Alicia Fox was just cleared and is expected back at any time, presumably once they have an idea for her. She suffered a broken tailbone back in January just before the Royal Rumble. I’m not going to discuss beyond this statement because I am not going to litigate this in the press. We had a deal with [Madison Square] Garden and they then told us they were backing out after communications from the WWE. We are not able to get any other dates in any kind of discussion. I’m expecting that our lawyers will be contacting all the parties involved and the best we can hope is that we can find a resolution, so we can bring the kind of energy and excitement that ROH and our partner New Japan to a bigger audience and to bigger arenas and to the fans of New York City. A date was never announced for the theoretical card at Madison Square Garden, but it was expected to be during the weekend of WrestleMania next April, which was the most logical weekend to run when so many tourists would be in the city. The next subject is what deal The Garden has struck with the WWE, who has been running the arena less frequently in favor of the Barclays Center. The Garden was not expected to host any WWE-related events next year during WrestleMania week, although with the pressure of ROH attempting to book the arena, the WWE may have to find something to put in ROH’s place that weekend. ROH would also need a new venue for their annual Supercard of Honor show that weekend with The Garden not available to them. It’s a tough predicament in that market because they have outgrown the Hammerstein Ballroom for an event of that level. Ideally, Ring of Honor would want to book a 6-10,000 seat venue. I think it would be an interesting idea to start the second hour with the Gauntlet Match, and it goes so long that it bumps Sanity’s debut until next week, so you have a full week to build up their first appearance on television. It also adds a degree of spontaneity with the Gauntlet Match going so long that it bumps a previously announced match. **Regarding Nikki Cross, she is scheduled for the NXT tapings this Thursday and I was told not to expect her to be coming up with Sanity. **PWinsider.com is reporting that Sami Zayn had been working with an injury through Sunday’s match with Bobby Lashley and will be missing some time. The site reported that Zayn was headed to Birmingham, Alabama but the actual injury is not known nor a timetable for his time off. **PCO is the first entrant into the PWG Battle of Los Angles tournament that will take place September 14th – 16th in Los Angeles at the Globe Theatre. **Despite the storyline of Ronda Rousey’s suspension, the WWE website is still advertising Rousey for next Monday’s Raw in San Diego, as well as July 9th in Boston, and July 16th in Buffalo (which is the night after Extreme Rules). The Wrestling Observer website adds that the WWE has confirmed Rousey is still scheduled for live events this Sunday in Anaheim, July 6th in Philadelphia, July 7th at Madison Square Garden, and July 8th in Bridgeport, Connecticut. **Charlotte Flair recently posed for ESPN’s annual Body Issue. It would be the first time a representative of the WWE has been included in the issue. Ronda Rousey and Miesha Tate have both appeared in the Body Issue in past years. The magazine will be released on Friday, June 29th. **This past Sunday’s episode of Total Bellas did 726,000 viewers on E! The number was slightly down from last week’s season-high but was still their second-highest viewership total of the current season. **NXT will be taping television this Thursday night at Full Sail University and Mauro Ranallo will be back at the tapings after missing TakeOver due to his Showtime Championship Boxing commitments on Saturday. This week’s show will feature TM61 vs. War Raiders and Dakota Kai vs. Bianca Belair, which were taped at the Allstate Arena on Saturday. **John Cena is one of the finalists for ESPN’s Muhammad Ali Sports Humanitarian of the Year. Cena is being honored along with Doug Baldwin of the Seattle Seahawks, Kevin Durant of the Golden State Warriors, and J.J. Watt of the Houston Texans. The award ceremony will take place Tuesday, July 24th on ESPN. **Pentagon Jr. & Rey Fenix will defend the MLW tag titles against ACH & Rich Swann at the MLW Fusion television tapings on July 12th at the Gilt Nightclub in Orlando. The card is headlined by a $60,000 Bounty Match between Low Ki and Shane Strickland and will also feature Tom Lawlor vs. Jimmy Havoc. **Austin Aries will defend the DEFY championship against former champion Shane Strickland on July 20th at DEFY’s card in Portland, Oregon at the Hawthorne Theatre. Tickets for this show go on sale this Friday. **The first NWA TNA card took place on this date in 2002 from the Von Braun Center in Huntsville, Alabama. In many ways, it was luck and timing that led to this promotion launching and further luck that it survived beyond the summer of that year. Jeff and Jerry Jarrett received funding to assist with the launch of the promotion and the business model was built around weekly pay-per-view events that were priced low. The idea was that you had so many wrestling fans buying three events per month as late as January 2001 at higher prices that if they could capture a percentage of those fans with disposable income, it would turn out to be a profitable venture. The idea was flawed, and it was eventually discovered that fans were not going to pay for weekly television. If Jeff Jarrett had not had his business falling out with the World Wrestling Federation when his contract expired in October 1999, this promotion never would have launched because Jarrett would have been scooped up in the wake of WCW’s demise and been a mid-card player during the Invasion storyline and settled into a role there. Instead, he was famously fired on television during the last edition of Monday Nitro by Vince McMahon and went this direction and launched his own company. The biggest hiring by the company was not any wrestler or executive but instead a publicist they were using named Dixie Carter. When the company went dark in August 2002, it was thought that they wouldn’t return with the losses piling up and this is when Carter went to her parents, Bob & Janice Carter, who ran Panda Energy and was able to secure funding to keep TNA going and Dixie ascended into a leadership role within the company. In time, they would get onto television on Fox Sports Net, but the big break they received was landing on Spike TV in October 2005. After Spike publicly ended negotiations for a renewal with the WWE in early 2005, they opted to remain in the professional wrestling game and placed TNA on Saturday nights at 11 pm Eastern with a one-hour weekly slot. The story of TNA cannot be told without the inclusion of Spike TV and I’m sure one day a book will be written on that relationship that lasted nine years until TNA was dropped in 2014. *Kayla Harrison vs. Brittney Elkin – this is not part of the tournament as the women’s featherweight division doesn’t have enough fighters yet. Harrison is a two-time judo gold medalist at the Olympics and this will be first MMA fight. *Efrain Escudero vs. Jason High – Escudero won TUF in 2008 while Jason High was released by the UFC after shoving a referee in 2014 in the heat of the moment. *Brandon Halsey vs. Smealinho Rama – Halsey fought at light heavyweight earlier in his career, cut down to middleweight while fighting for Bellator and suffered three consecutive losses at 186 pounds before moving back up to 205 in his last fight in 2017. Rama is a former WSOF heavyweight champion and cut down to light heavyweight after the title loss. *Thiago Tavares vs. Robert Watley – Tavares fought 18 times for the UFC from 2007-2016 and left after a stoppage loss to Doo Ho Choi in July 2016. Tavares is now 33 years old and hasn’t fought since February 2017, which is his lone fight since leaving the UFC. *Chris Wade vs. Natan Schulte – Wade should be one of the favorites in the lightweight bracket. He was 5-2 during his UFC campaign and last fought in July 2017 where he defeated Frankie Perez by unanimous decision and didn’t stay with the UFC.